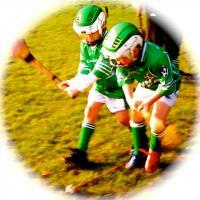 The Youth Development Section of Ballincollig GAA Club takes place every Sunday morning. It caters for children in the U-6 to U-12 age groups with the core objective of teaching them the basic skills of hurling and football. The emphasis is on having fun and making friends, while the kids train from 11am-12.30pm for the U-7 to U-10 age groups while the U-6 age group start at 11.15am until 12.30pm. It is FREE to join now until the end of the year. We would be delighted to welcome new children. Please note that any child born in 2012 or later is not allowed to train due to insurance terms.